The object is in the same place at time $t = 2s$ and $t = 10s$. 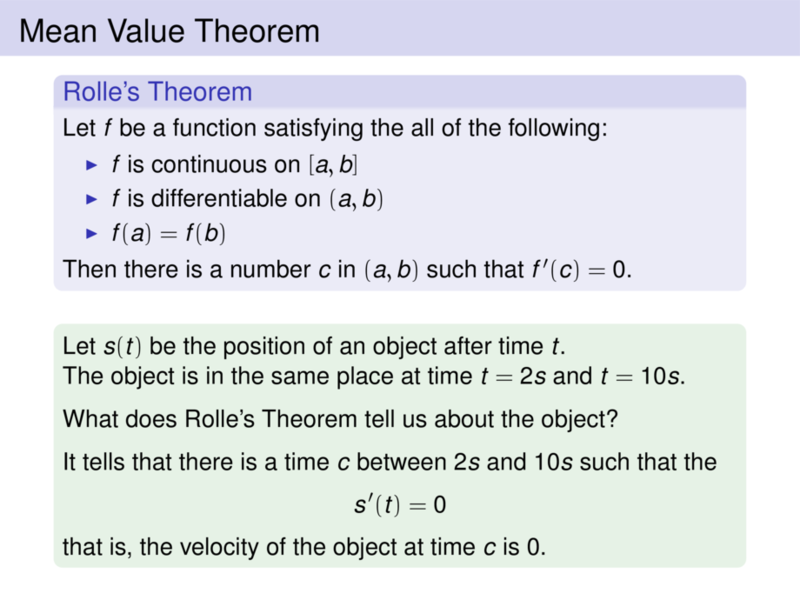 What does Rolle's Theorem tell us about the object? that is, the velocity of the object at time $c$ is $0$.